It’s the holiday season and everyone loves a crackling fireplace. If you are lucky enough to be a homeowner in Prescott with a fireplace you know there are somethings you can and cannot do. Mosaic Insurance would just like to remind you of a few precautions for keeping your fireplace safe, while it provides you with warmth and comfort during the winter season. Keep it Clean - Make sure the chimney of your woodstove or fireplace is cleaned annually to make sure they are functioning properly and efficiently. It is also important to keep the area around the fireplace free of combustible materials. Keep the Fire Burning Safely - Before lighting a fire, make sure the damper is open so that the smoke does not come into the room. And don’t close the damper until the fire is completely out. Get a Good Start - Never use flammable liquids (like lighter fluid) to start a fire - when starting a fire use only a match or a commercial fire lighter. Don’t Keep Doors Closed - Glass fireplace doors should be kept open while a fire is burning. 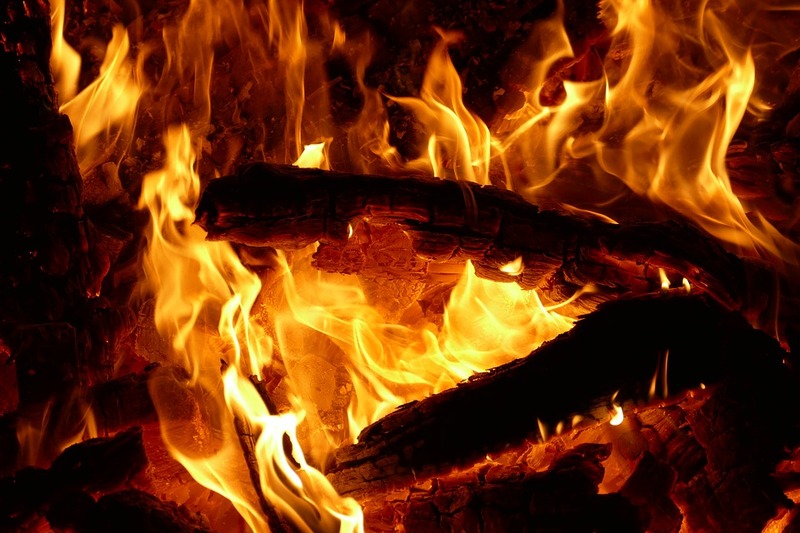 It is important that the fire gets enough oxygen to burn completely and help diminish creosote buildup in the chimney. However, you should keep the metal mesh screens closed to keep unwanted sparks from leaving the fireplace. What To Burn - You should burn only wood that is completely dry. Wet or green wood can increase creosote buildup in your chimney and may also have major spark explosions due to moisture in the wood. What Not to Burn - Never burn plastic in your fireplace as it can release toxic chemicals that can cause damage to your fireplace or woodburning stove. Never burn Christmas trees in your fireplace because the sparks from the burning needles increase the risk of a chimney fire. Cardboard boxes, wrapping paper and trash are also items you should not burn in your fireplace. Remember, you should never leave a fire unattended and make sure the ashes are properly disposed of after they are completely cooled. Never dump the ashes into a trash can. Instead you should have a covered metal container for the ashes which is kept at least 10 feet away from the structure. Mosaic Insurances also recommends that your home have a smoke alarm and a carbon monoxide alarm to help keep your home safe. It is always important to be safe and to make sure your Prescott home is properly insured. For questions about home insurance or to get a free quote, contact us at 928-458-7374.